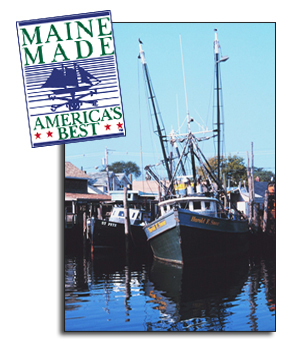 Harmon's Clam Cakes | Favorite Foods, Inc.
New England’s First Choice in Clam Cakes! Harmon’s Clam Cakes combine one of the sea’s sweetest treats – fresh clams – with a delicate panko crust seasoned perfectly to bring out the natural goodness of the clams and seal in the savory flavor. Like its cousin the crab cake, Harmon’s Clam Cakes can be pan-seared and ready to eat in minutes. Harmon’s Clam Cakes make a tasty appetizer or a complete meal. See our tasty serving suggestions for ideas. Harmon’s Clam Cakes were voted Best Clam Cakes in 2008 and 2009 at the prestigious Chowder Cook-Off in Newport, Rhode Island. You simply cannot find better clam cakes than Harmon’s! What Makes Harmon’s so Great? Fresh clams! Every clam that goes into a Harmon’s Clam Cake has been hand-harvested from the waters off of Maine. Established in 1923, Harmon’s Clam Cakes has been perfecting this New England delicacy for more than 80 years. Harmon’s Clam Cakes are New England’s original and authentic clam cake.